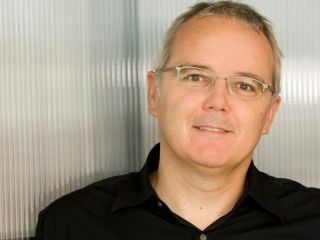 From a pivotal spell at Times Online to running one of the Britain's most popular web destinations in his current role as executive producer of MSN UK, Peter Bale is a man who has his finger firmly on the internet's pulse. But his enthusiasm for the web remains undimmed by years of hard service. He rattles off answers to TechRadar's questions with little pause for consideration, touching on subjects as diverse as the legal difficulties of running a website in the UK, the role of the modern internet journalist and just how MSN would cope should it lose its place as the default homepage for the world's most popular browser, Internet Explorer. Perhaps New Zealander Bale's most memorable contribution to the internet was his decision to turn off the subscription for The Times' online portal for the US market - a move which brought in a whole new audience to one of the UK's premium newspapers. When Bale was appointed executive producer of Microsoft's MSN in 2006, his aim was to boost the reputation of a site that already had colossal traffic from its Internet Explorer and Instant Messaging links. "When I was at The Times I looked at the portals, Yahoo, AOL, MSN, and I wondered if, in a world increasingly dominated by search, portals would work anymore as a content proposition," says Bale when asked how his opinion of portals has shifted since arriving at MSN from The Times. "The difference I've discovered at MSN, the thing we've brought in that proves that viewpoint false over the last 18 months, is an extremely substantial investment in content. "You are competing against search and you are competing against many other excellent sites that wrap up the best of the web. So over the last 18 months I've tried to give MSN much more character and much more content that isn't available elsewhere so that there are better reasons to come back. "We try to add more creative ways of telling stories; be that by adding maps or increasing the number and power of links that we include. So where we do have content that's available elsewhere on the web we try to add a bit more value to it as well as maybe having the top 10 per cent being original. "In some channels that content aspiration has gone far further…and, when it's only available on MSN, that's a much more powerful proposition for our advertisers and our readers because it encourages loyalty and it starts to make channels very powerful in their own right." The rise of search, and Microsoft's subsequent battle to gain a share of this market has become one of the ongoing internet sagas of the past few years, but Bale is insistent that people are still seeking an editorialised experience. "Search is fantastic," adds Bale, "but it's very poor for serendipity or quality. "I'm not sure search will ever be as powerful as that experience - where an editor says, 'Here is the richness of the web. Here's search, but here are the five or ten things we've discovered today that we feel you should see'. "We put a lot of effort into that experience. You can personalise yourself to death and get a very bland media experience with 100 per cent personalisation. I've experimented a lot with Google and other search engines and you can do many clever things, but you still don't find that story or that piece of video that you discuss around the water cooler with people." "It's why the beauty of newspapers is still there, the beauty of other publications, and the value of journalists for an editorial experience."